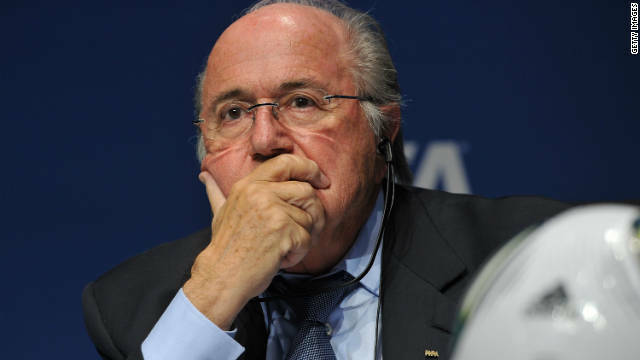 FIFA president Sepp Blatter's 2011 remarks on racism in football -- that on-pitch abuse can be solved with a handshake -- were just one of a series of controversial quotes to be attributed to the head of world soccer. 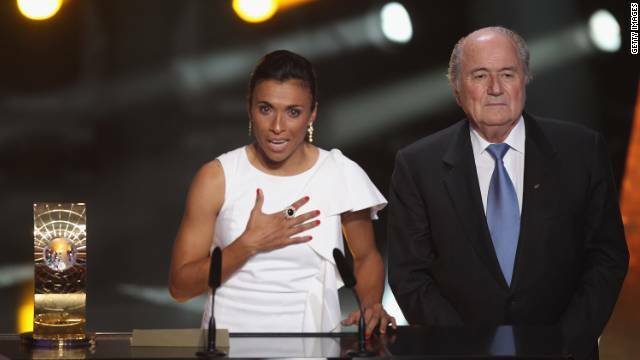 In 2004, Blatter -- seen here with Brazil star Marta -- angered female footballers with his suggestion for how the women's game could be made more appealing. "They could, for example, have tighter shorts," said the Swiss. "Let the women play in more feminine clothes like they do in volleyball." 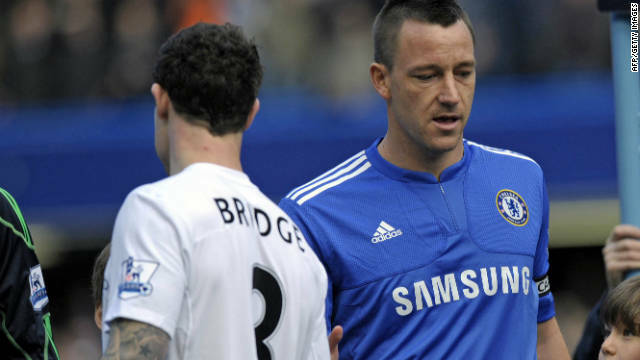 In 2010, when England captain John Terry, who is married, was reported to have slept with the partner of his former Chelsea teammate Wayne Bridge, Blatter responded: "If this had happened in, let's say, Latin countries then I think he would have been applauded." 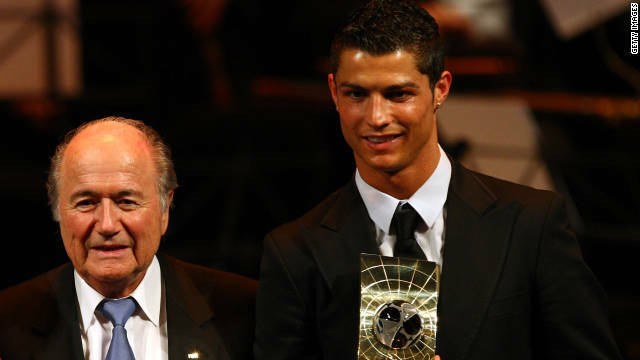 In 2008 Blatter was ridiculed after defending the desire of Manchester United's highly-paid star Cristiano Ronaldo to join Real Madrid. He said: "I think in football there's too much modern slavery in transferring players or buying players here and there, and putting them somewhere." In 2013 he had to apologize to Ronaldo after a bizarre impersonation of the Madrid star. 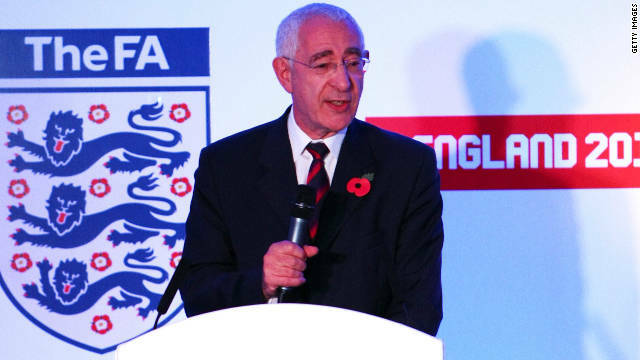 Blatter performed a U-turn on the use of goal-line technology and apologized to the English Football Association after an incorrect decision during the 2010 World Cup. Despite replays showing a shot from England's Frank Lampard had clearly crossed the line in the last-16 clash with Germany, the goal was not awarded. Blatter had earlier refused to take action when Thierry Henry's blatant handball denied the Republic of Ireland a place at the 2010 World Cup finals. Even the France striker admitted the fairest solution was to replay the playoff match. 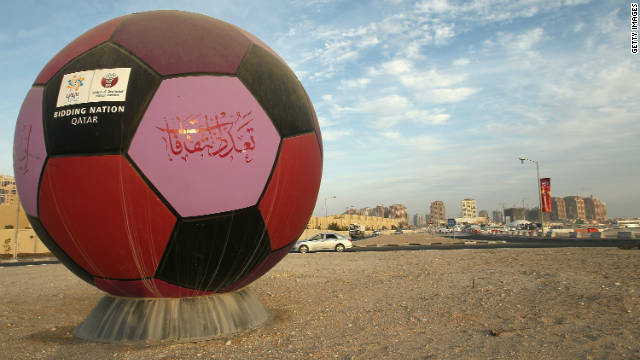 In December 2010, Blatter was heavily criticized for suggesting gay football fans should "refrain from sexual activity" if they wished to attend the 2022 World Cup in Qatar, where homosexuality is illegal. 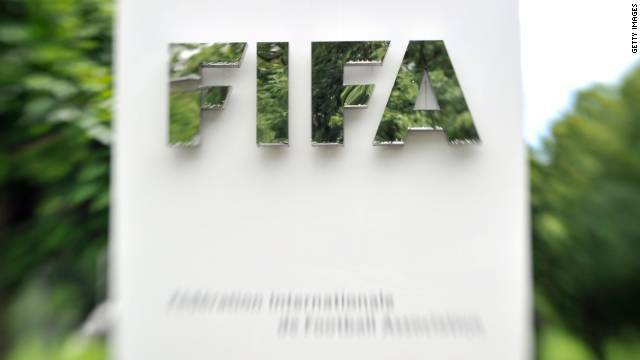 Blatter later apologized and said it had not been his intention to offend or discriminate. 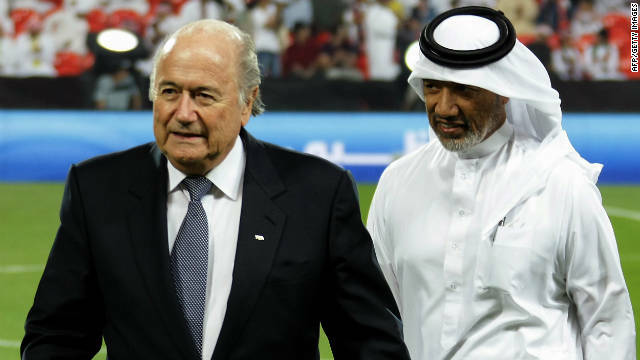 Blatter clashed with fellow members of FIFA's executive committee when he suggested the 2022 FIFA World Cup could be played in January to avoid high temperatures in Qatar. He said the move would "protect the players and also the spectators." 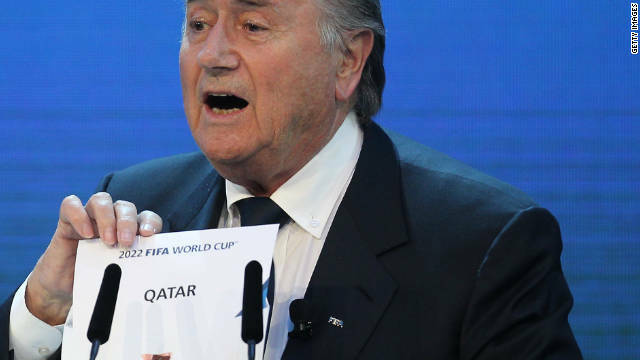 Qatar flatly rejected Blatter's suggestion at the time, but FIFA is now reviewing whether to adopt it. 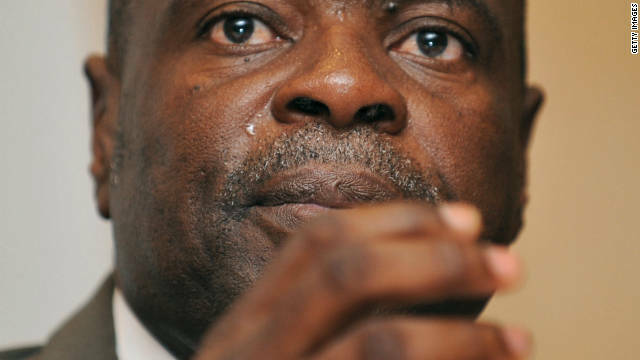 In December 2010 Blatter insisted that FIFA was "not corrupt ... there are no rotten eggs" despite two of his executive committee members -- Amos Adamu, pictured, and Reynald Temarii -- being suspended for accepting bribes in the lead-up to the vote for awarding hosting rights for the 2018 and 2022 World Cups. 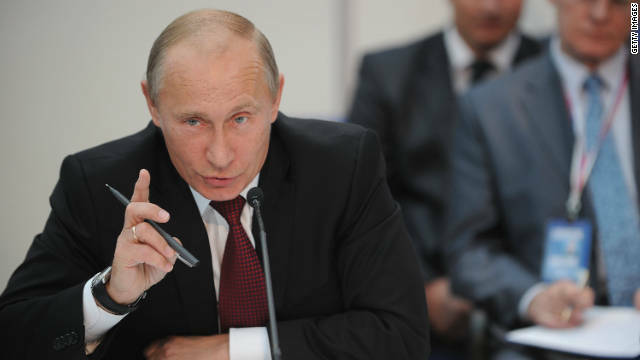 He called England "bad losers" after losing out to Russia. 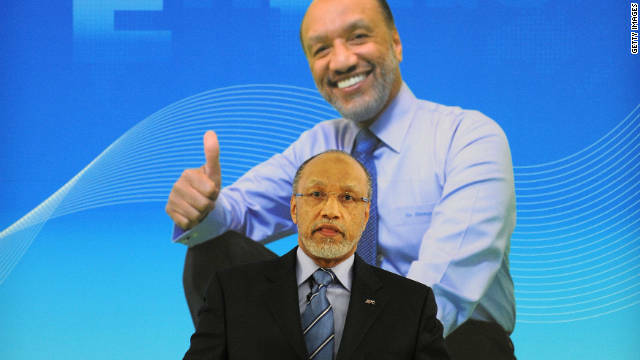 Blatter stood unopposed for re-election in July after his former ally Mohamed bin Hammam quit the race days before the ballot after being accused of offering cash for votes. 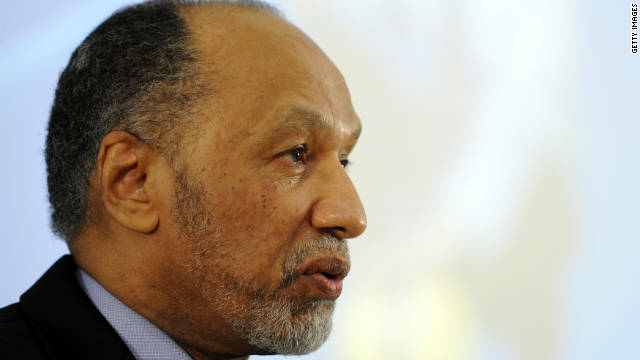 The Qatari, a top FIFA official, has been banned from football. 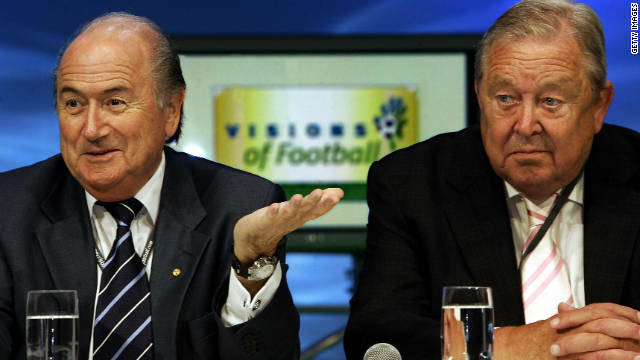 Blatter faced a criminal investigation after winning the 2002 FIFA presidential election, being accused of financial mismanagement by 11 former members of the ruling body's executive committee, including his 1998 election rival Lennart Johansson, right. However, prosecutors dropped the case due to a lack of evidence. 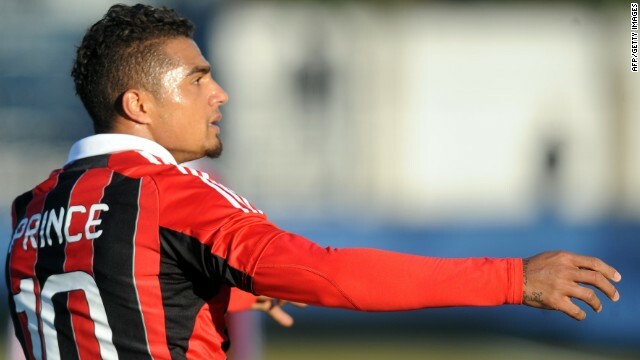 In January 2013, AC Milan midfielder Kevin-Prince Boateng led his team off the pitch after being subjected to racist chanting. His actions were hailed across the world. 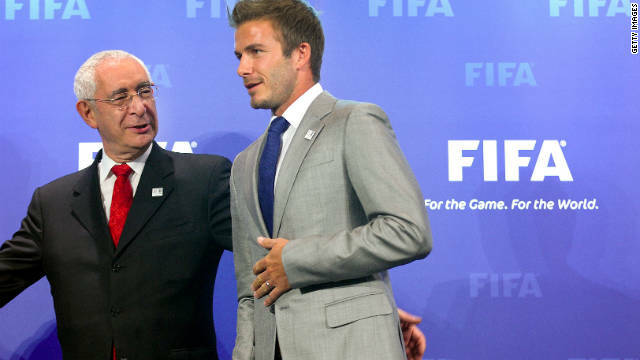 But Blatter was more cautious about the issue, refusing to support the move. "I don't think you can run away, because eventually you can run away if you lose a match," he said in an interview with a newspaper in the UAE. "This issue is a very touchy subject, but I repeat there is zero tolerance of racism in the stadium; we have to go against that." Others, like AC Milan president Silvio Berlusconi, have disagreed with him. "I am of the opposite view (to Blatter)," said Berlusconi. "I thanked and congratulated my players for their decision to leave the field." 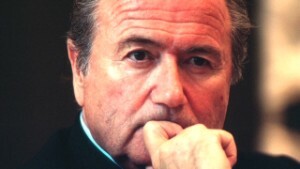 (CNN) -- Is Sepp Blatter angling for another term as head of world football? 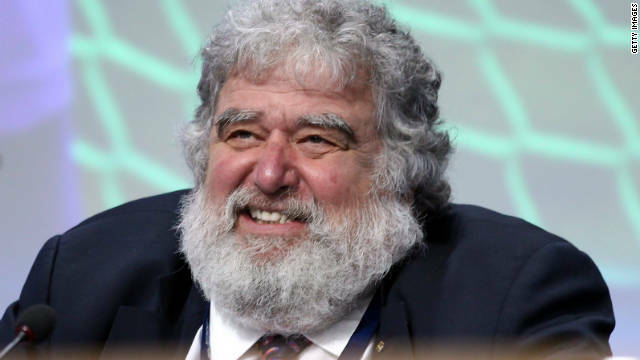 The 77-year-old vowed at the 2011 FIFA presidential elections, where he stood unopposed after a bribery controversy ruled out his only rival, that this would be his fourth and final four-year stint in office. However, this week he hinted that he has "a mission" to fulfill and said he feels "young enough to be in this office." 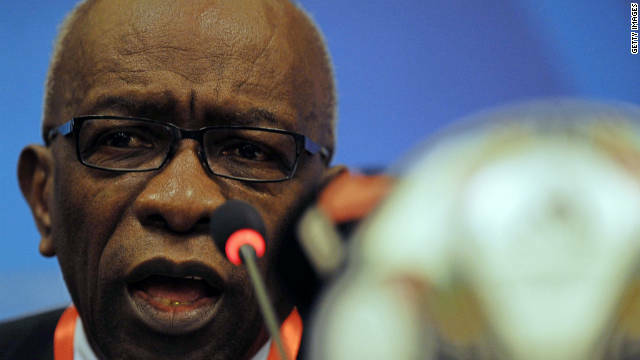 And he fueled speculation that he may stand again with comments in Friday's release of the FIFA Weekly magazine, in which he said the African and Asian regions deserved more representation at World Cup finals. Blatter, who has stayed in power since 1998 by vowing to take FIFA's showpiece tournament to all parts of the world, criticized Europe's overwhelming presence in relation to its lesser number of member associations. Europe will have 13 of the 32 places on offer in Brazil next year, while South America has four plus the possibility of another via a playoff with fifth-best Asian side (Uruguay vs. Jordan). Africa has five berths, while CONCACAF has three plus a playoff with the top Oceania team (Mexico vs. New Zealand). 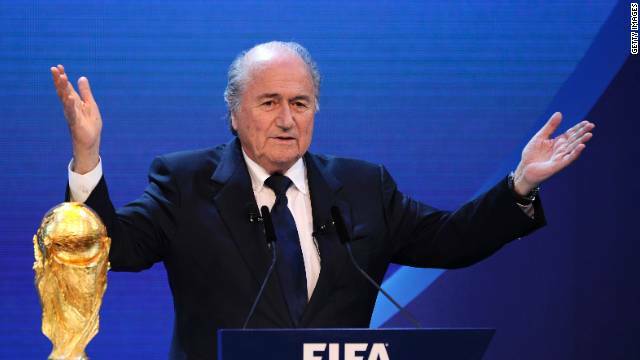 "From a purely sporting perspective, I would like to see globalization finally taken seriously, and the African and Asian national associations accorded the status they deserve at the FIFA World Cup," Blatter wrote in an article looking at the future of the sport. "It cannot be that the European and South American confederations lay claim to the majority of the berths at the World Cup (18 or 19 teams), because taken together they account for significantly fewer member associations (63) than Africa and Asia (100)." 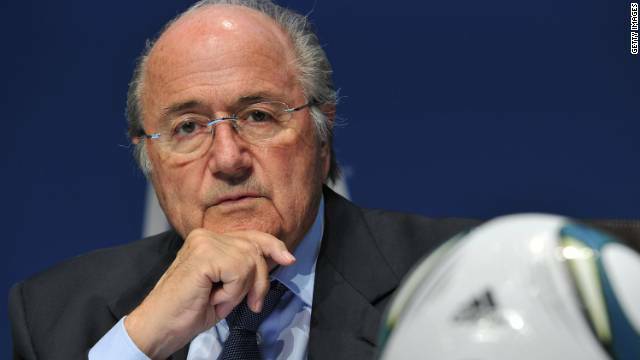 Blatter argues that Africa will never fulfill its promise on the biggest stage unless it is given more opportunities. 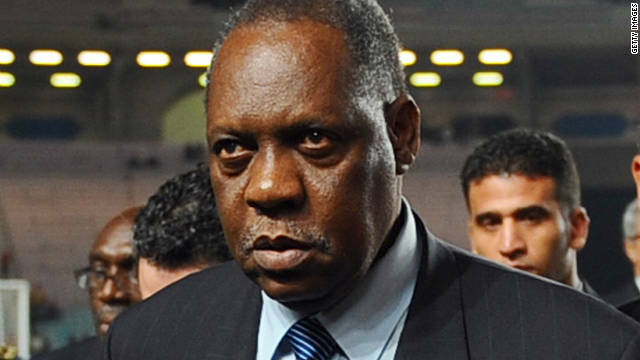 "Africa, the confederation with the most member associations (54), is woefully under-represented at the World Cup with just five places. 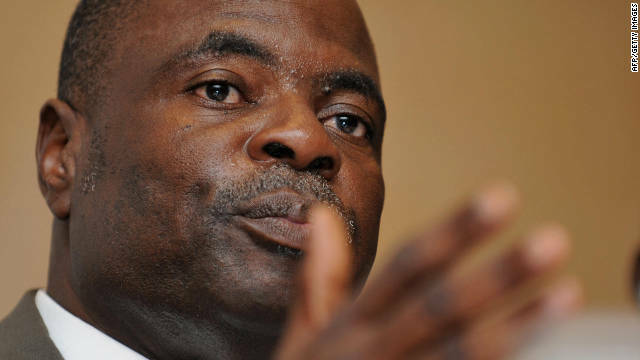 As long as this remains the case, African sides may never win an intercontinental trophy, regardless of progress on the playing side," he said. "This flawed state of affairs must be rectified. 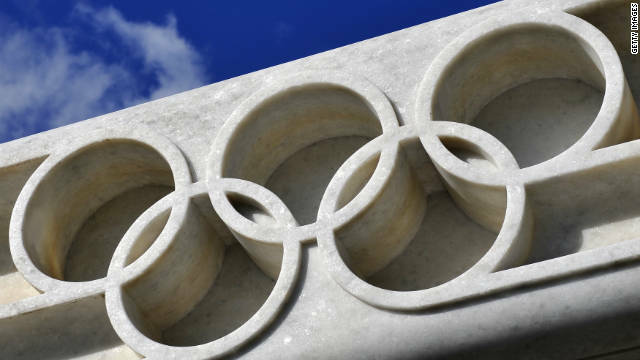 At the end of the day, an equal chance for all is the paramount imperative of elite sport." Blatter's attempts to curry favor with his traditional powerbase could be seen as the beginning of a bid to sound out support for another tilt at the presidency, according to Spanish football journalist Begona Perez. 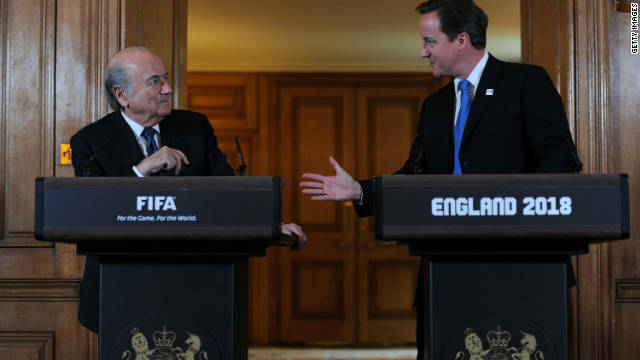 "I think that's Blatter being Blatter. Every time he makes a statement there are second thoughts," she told CNN World Sport. "Maybe he might be thinking he needs his African friends to run for a new presidential election. He's trying to be nice to people he needs for a vote. 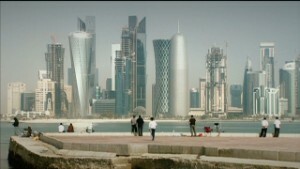 Winter or summer for Qatar 2022? "With him you never know, but he works well behind the scenes." 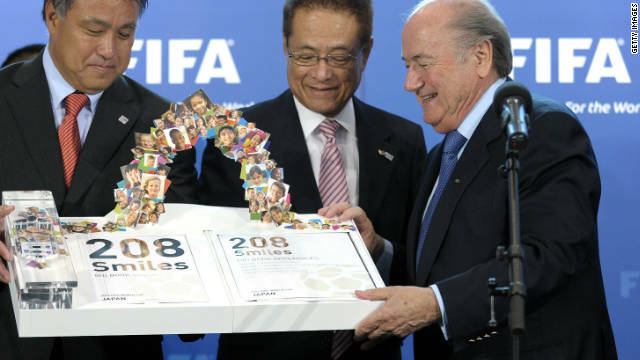 Having given North America its first staging in 1994, FIFA's bid to take the World Cup to new countries continued two years later, while Blatter was still its General Secretary, when South Korea and Japan were awarded the 2002 tournament -- the first time it was held in Asia. 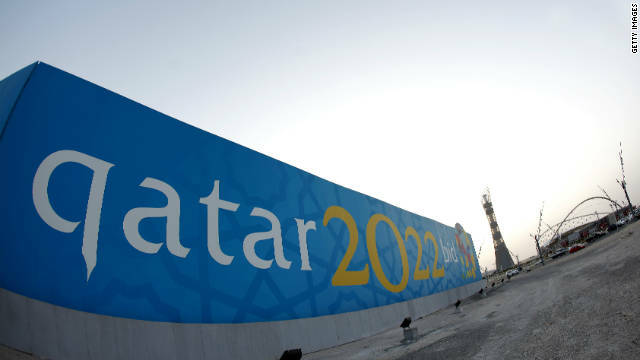 Africa's turn came in 2010 when South Africa was host, and the Middle East will get a go in 2022 when Qatar will stage it -- a controversial decision that has led to a likelihood the event will be switched from its traditional summer slot due to the Gulf state's intense heat. Russia will be the first East European nation to host the World Cup in 2018, and it has come under scrutiny already due to the country's new legislation that many say discriminates against gay people -- FIFA's statutes forbid this in member nations. Russia also has a problem with racist behavior by its football fans, which was highlighted this week when CSKA Moscow was charged by European football's ruling body UEFA after Manchester City's Yaya Toure complained of being targeted with monkey chants. Toure, whose Ivory Coast team is hoping to qualify for a third successive World Cup in Brazil, suggested a boycott for 2018 if Russia could not stamp out its racist elements. However, Chelsea manager Jose Mourinho said Friday that such an action would be a backward step. "I respect his opinion, but I disagree. The history of football was made equally by many races. And the black players have a fantastic contribution of what football is," the Portuguese told reporters ahead of his team's English Premier League clash with City on Sunday. "The World Cup is the biggest expression of national team competitions - races, people from different parts of the globe, people from every continent. And the black players are very, very important for that. 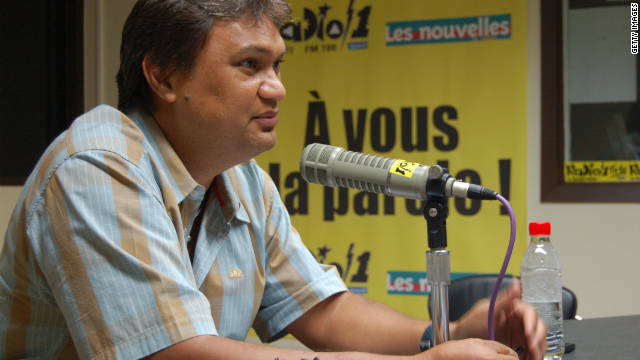 "Who is more important, the billions of people in love with the game around the world? Or a few thousand that go to football stadiums and have disgraceful behavior in relation to black players. 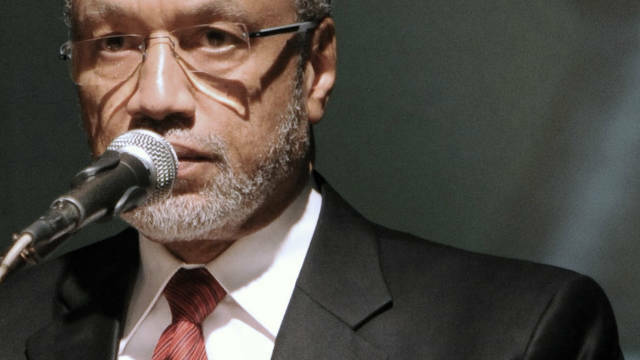 "If I was a black player I would say the other billions are much more important, so let's fight the thousands, but let's give to the billions what the billions want. And the billions want the best football -- and the best football without black players is not the best football, for sure." 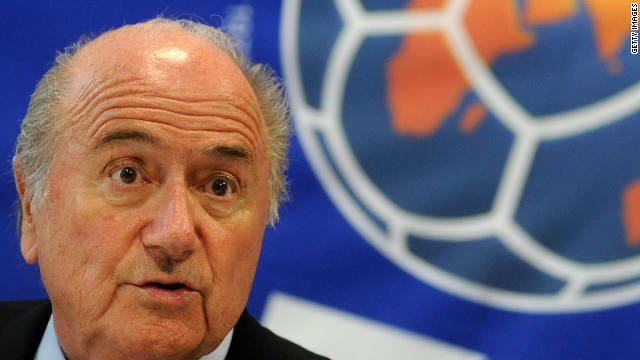 Blatter also said Friday that he is against boycotts. "Boycott has never given us any solutions. You cannot run away from problems," he told students during an address at England's Oxford University, where he did not give any more hints about standing for re-election.